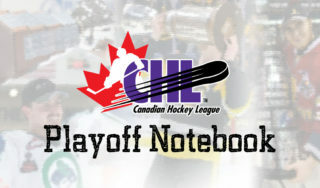 The third round of the Canadian Hockey League playoffs are all set following Tuesday’s lone game. The reverse sweep is complete, as the Guelph Storm pieced together four consecutive wins to shock the London Knights in a Game 7 upset that saw the team rally from a 3-1 deficit with five unanswered goals to come away with a 6-3 victory. Leading the way for the winning side was captain Isaac Ratcliffe, as the Philadelphia Flyers prospect wrapped up the night with two goals and one assist, including the game-tying and game-winning tallies. 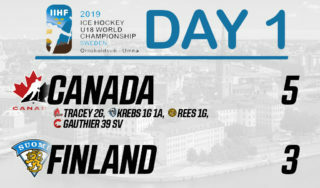 Fellow forward Nick Suzuki and defenceman Sean Durzi also capped the night with three-point efforts. 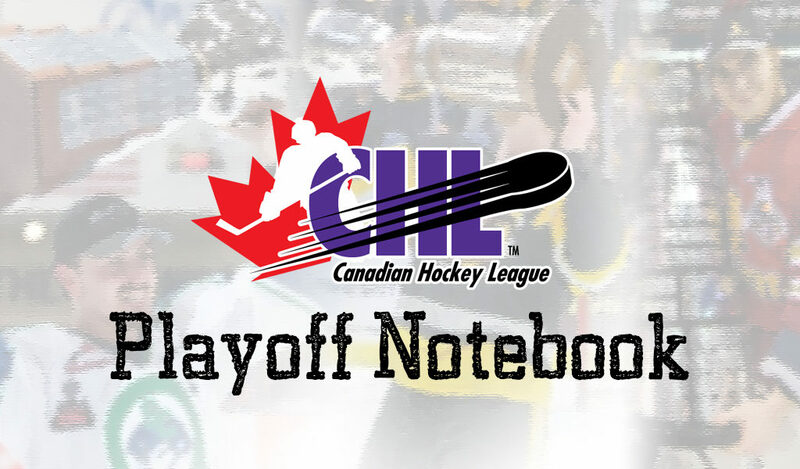 The Storm now advance to the Western Conference Final where they will compete against the Saginaw Spirit for the Wayne Gretzky Trophy, beginning Thursday. 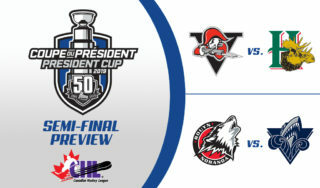 The third round of the QMJHL playoffs begins Friday with the Rouyn-Noranda Huskies facing off against the Rimouski Oceanic, while the Drummondville Voltigeurs will go head-to-head with the Halifax Mooseheads. 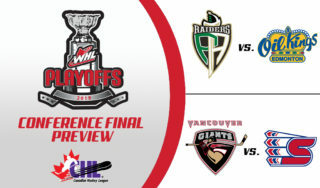 Beginning Friday, the Vancouver Giants and Spokane Chiefs will kick off their series for the WHL’s Western Conference crown, while the Prince Albert Raiders and Edmonton Oil Kings will battle for the same distinction in the Eastern Conference.